Now finally the end- after four days, the Berlin Christmas market ISIS-killer was shot by a policeman near Milano. 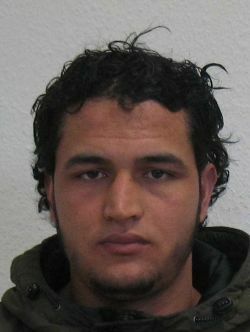 Anis Amri (picture below) left Berlin and traveled via train to Chambery in France and from there to Turin in Italy. He was in three EU countries for days, most probably looking for supporters. Someone else had bought the tickets. At around 1am Friday morning he arrived in Milano in the north of Italy. 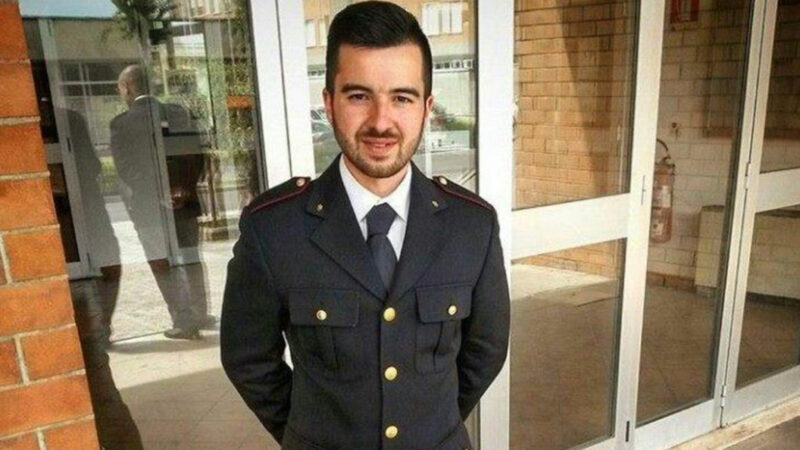 At 3am he was stopped by a regular police control at the train station of Sesto San Giovanni near Milano, a town of 80,000. It was no tip of the intelligence services, but pure luck. He looked “suspiciously” to two local policemen. Anis Amri had no passport with him and started shooting at the policemen, with the same pistol he had used in Berlin, a .22 calibre. 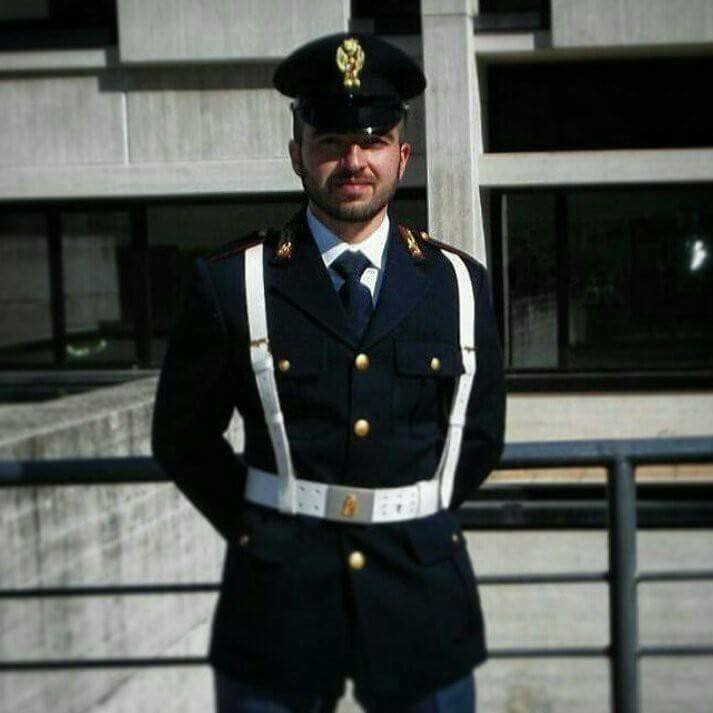 Freshman Luca Scata (29, in picture below), who had just joined the police nine month ago, shot him dead. Two Italian heroes, after the German police had made several mistakes. 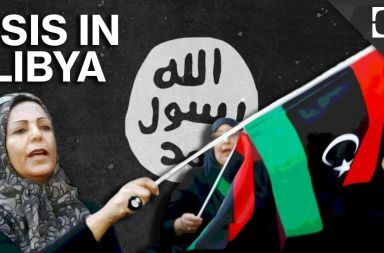 We always have to remember that ISIS is NOT Islam, but a misuse and political and criminal perversions of the teaching of the Qur’an and prophet Mohammad. The Qur’an forbids to kill civilians and allows only to defend yourself against the direct attacker. 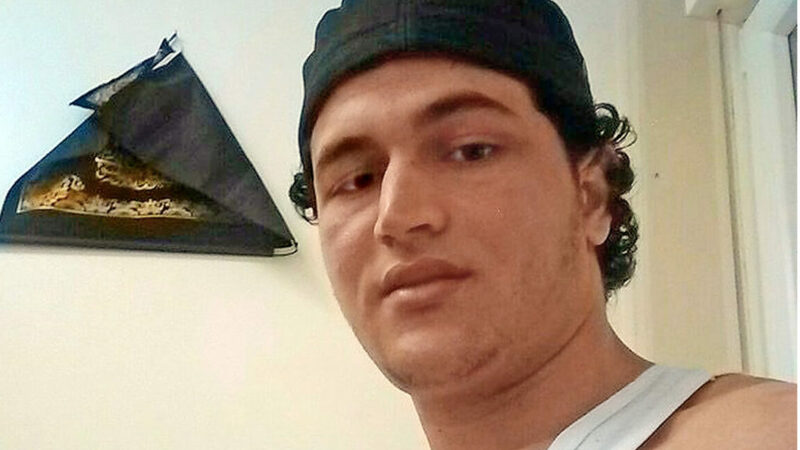 Monday evening Anis Amri has driven his terror truck into a busy Christmas market in the heart of Berlin, killing 12 people and injuring 49 last Monday evening. The police was searching for him as main suspect since days. He was a Salafist, refugee and a pure criminal since ten years. Anis Amri was born in 1992 in the city of Tataouine in the North African country. He was most probably wounded. He had left his identity papers inside the truck cabin under the driver seat. In 2006 he had stolen a truck in Tunisia, fled his home country to the island of Lampedusa in Italy as a boat-refugee and was sentenced in absence for five years for robbery. He came to Italy in 2012. There he became known as a violent criminal in the city of Catania on Sicily. He was stealing, threatened and attacked other people and was sentenced to four years in prison in 2011 after he tried to burn down his school. The Italian relaesed him in 2015. Tunisia did not take him back. Now he went to Germany in 2015 and requested political asylum in this liberal EU country. Asylum was denied, but he could stay in Germany. The police could not send him back to Tunisia as he had no official documents and this country is still not on the list of safe states according to German asylum laws. He lived in Berlin and worked as a drug dealer in the Görlitzer Park. He lived as well in the country of Kleve in the city of Emmerich near the Rhein river. The intelligence service has identified him as a “potential threat”. The local Berlin police observed him, but stopped in September – a severe mistake. He used four different names. The police found out he used a fake Italian passport in August 2016 in Friedrichshafen, but released him. 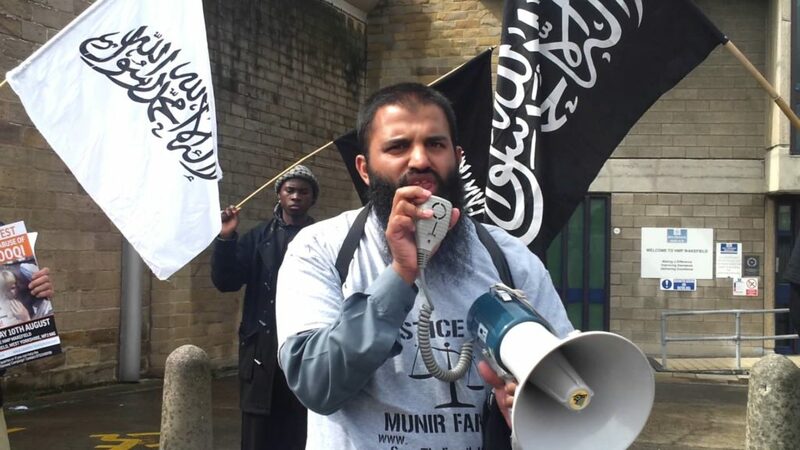 The Tunisian had contacts to the Salafist preacher Abu Walaa, who was arrested in November (picture below). His real name is Ahmad Abdulaziz Abdullah A.
Abu Walaa gave himself the title ” Sheikh”, and was active in Hildesheim in Germany. The 32-year-old Iraqi citizen who has been under investigation over recruiting young Muslims in Germany, and later arranging to send them to Iraq and Syria. Facebook is still publishing his hate-propaganda! He writes on Facebook in German: “Salamu Alaikum, Herzlich willkommen auf der Offiziellen Facebook Seite von Sheikh Abu Walaa. Quran, Hadithe, Vorträge, Nasheed’s und Ermahnungen.” There you cannot see his face. He wants to control the Salafist community in Germany, fighting against Salafist leader Pierre Vogel, who condemned terror attacks by ISIS in the past. The German police (Verfassungsschutz) even knew about Anis A. He was on a terror watch list. The Islamic State (IS, ISIS, ISIL or Daesh) claimed responsibility. The truck terror attack happened on Monday at Breitscheidplatz, close to the Kurfuerstendamm and famous Gedächtniskirche, the main shopping areas in the city’s west. On Tuesday the police released Naved B. 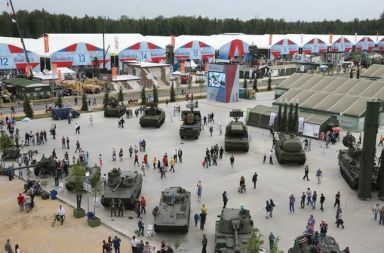 (23), a a refugee from Pakistan who was arrested near by at the Siegessäule in a park Monday night, saying there was no evidence to connect him to the attack. German President Joachim Gauck said in a statement that it was an “awful evening for Berlin and for our country”. 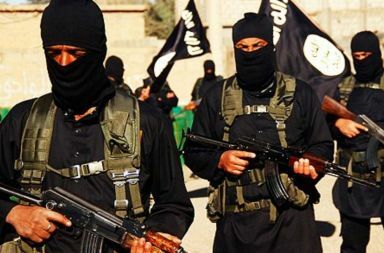 ISIS said one in its propaganda magazine one of its militants carried out the attack, but has offered no evidence yet. The disgusting ISIS magazine called for a Nice copycat attack just a month ago. Polish citizen Lukasz Urban was found dead on the passenger seat with gunshot and stab wounds. Berlin Police said it had received 508 tip-offs from the public ringing a special hotline since the tragedy and was now working through them. The Berlin police made several mistakes to protect the Christmas market: no concrete road-block, no ban for heavy trucks in the streets next to it, no video cameras and too few policemen on the ground to act quickly. The Polish truck driver was killed inside the cabin by the attacker with a knife and still alive during the attack. The terrorist shot him dead later. In Germany Christmas markets are now better secured mainly by roadblocks and more police at the entrances. Roads around Buckingham Palace in London will be closed during the changing of the guard as part of a tightening of security in the wake of the attack. A Number 10 spokesman said there were “no plans” to change the UK’s security level, which currently stands at “severe”, meaning a terror attack is highly likely. Investigators in Berlin made the dramatic breakthrough after finding ID papers under one of the seats in the truck that smashed into the Christmas market. Here is a picture of the suspect, still at large, and thought to be dangerous: Under German privacy laws his full name and picture have not been revealed. Thinking of our friends in Germany amid awful news of an attack in Berlin; we stand with our allies in the face of such hatred. 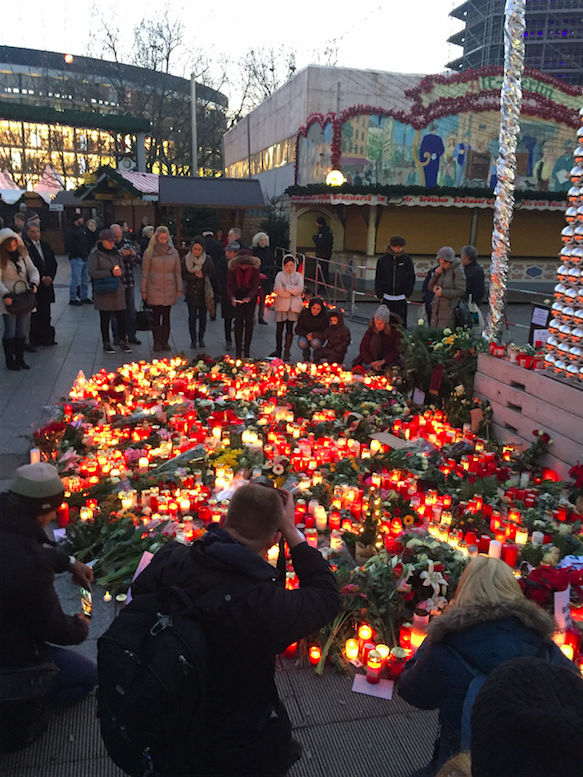 Thank you Lubasz Urban, the Polish truck driver killed by ISIS Devil!